Marvel, having recently released their work schedule up to 2019, we were stoked to see the Black Panther in the running. 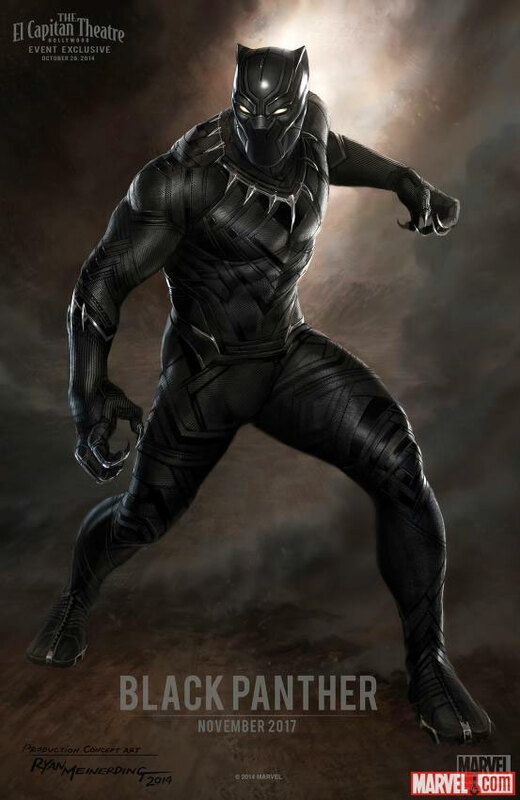 So in typical titilating fashion, Marvel has upped the anti and released concept poster by Ryan Meinerding and logo art for Black Panther, which shows a detailed costume design. The role of the hero will be played by Chadwick Boseman, who has only recently been making waves in the film circuit; he stars as James Brown in the forthcoming biopic Get On Up.